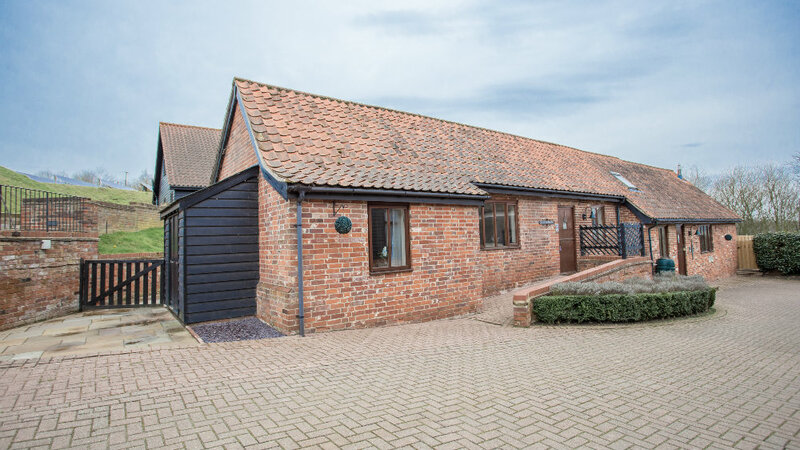 One half of the original stable block, Gainsborough Cottage sits on one level. 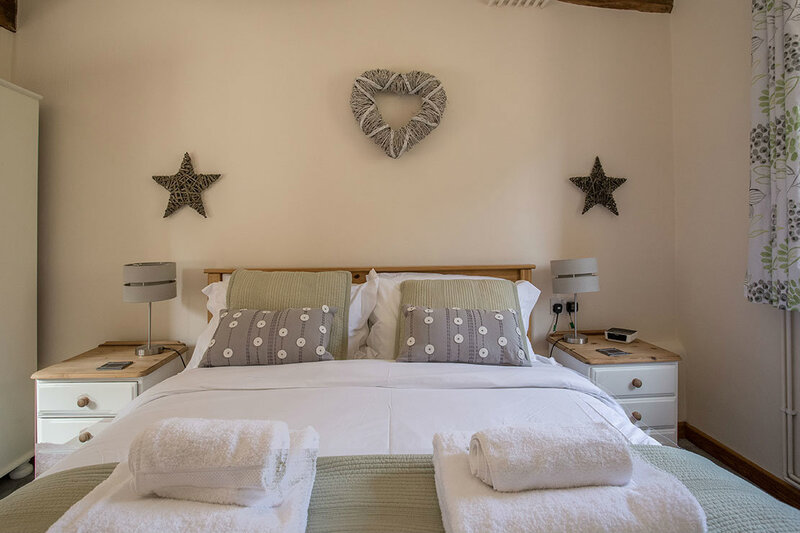 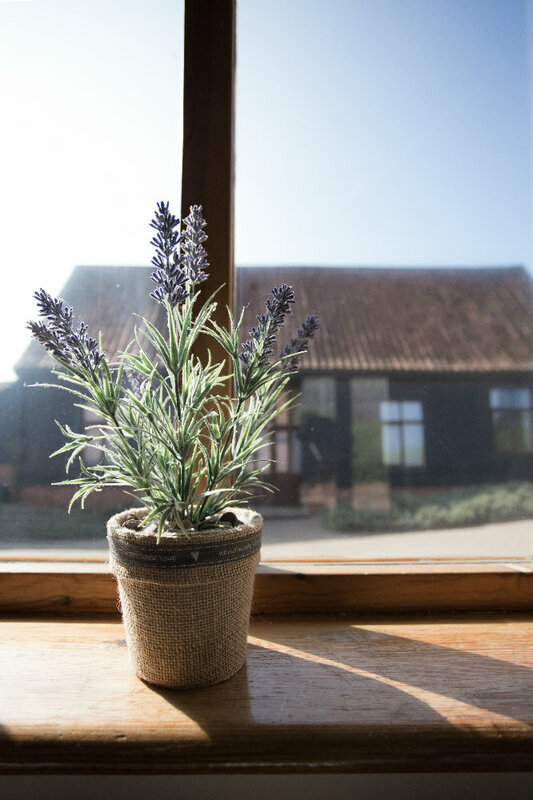 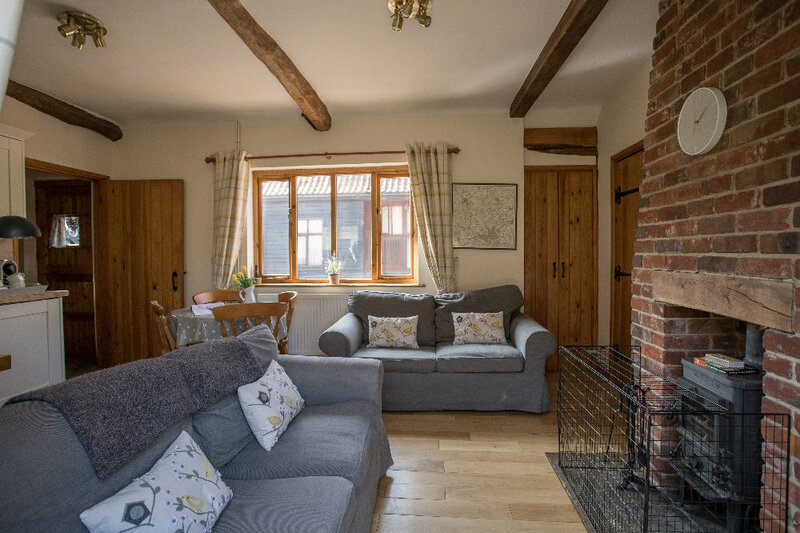 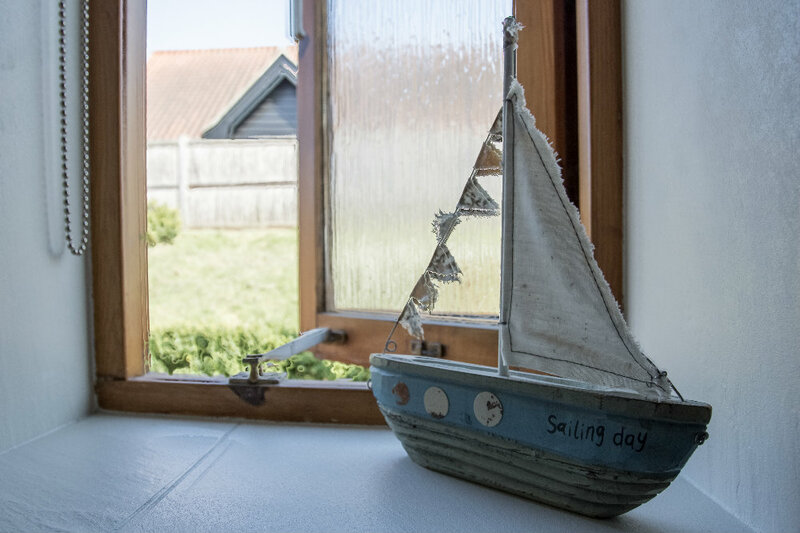 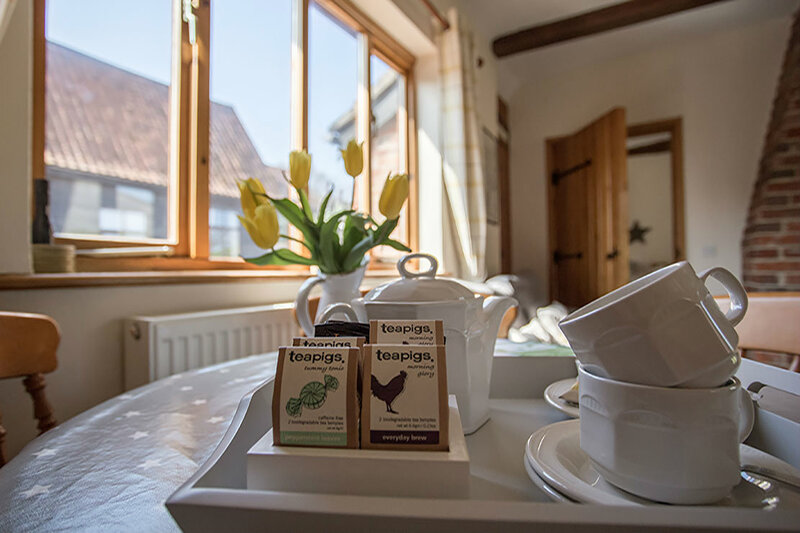 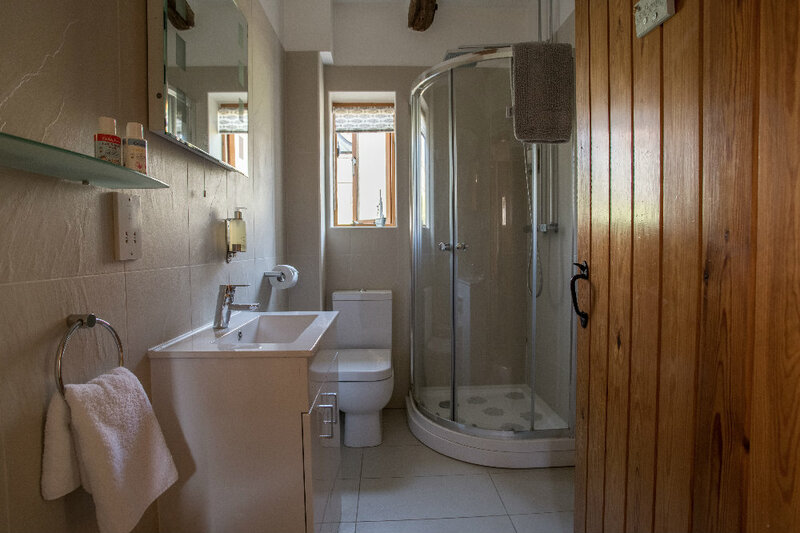 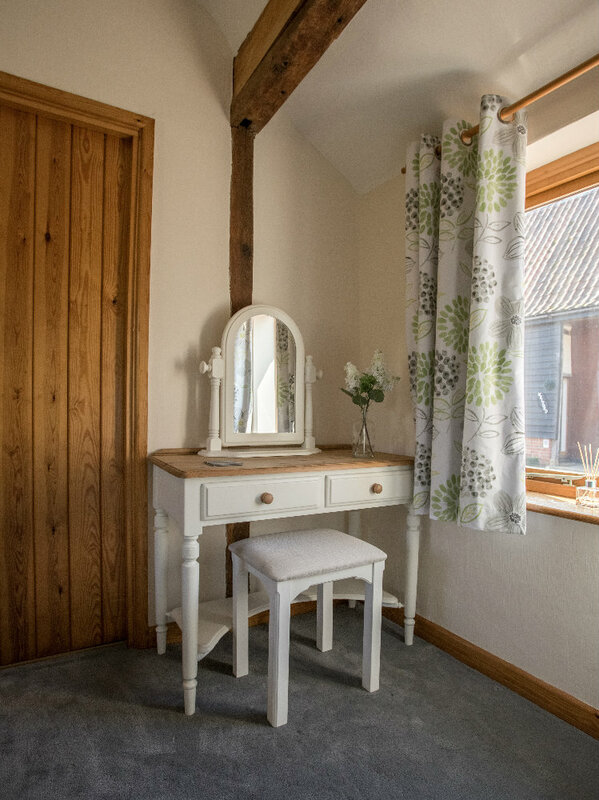 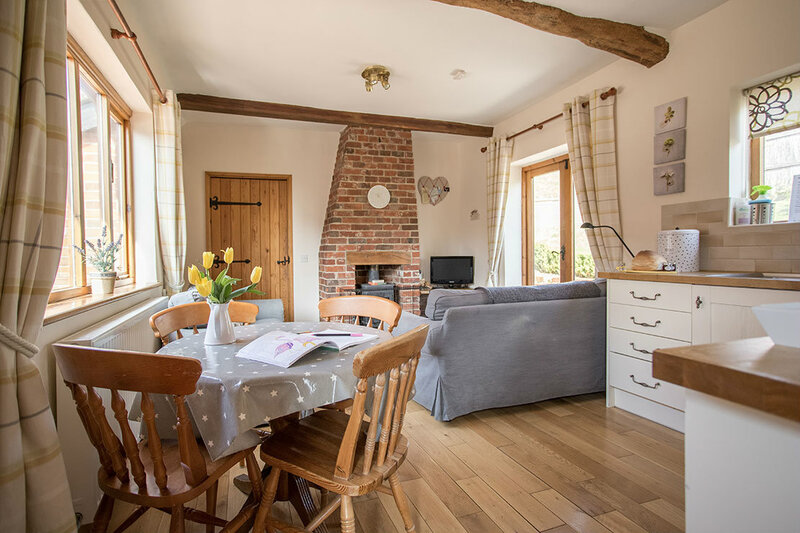 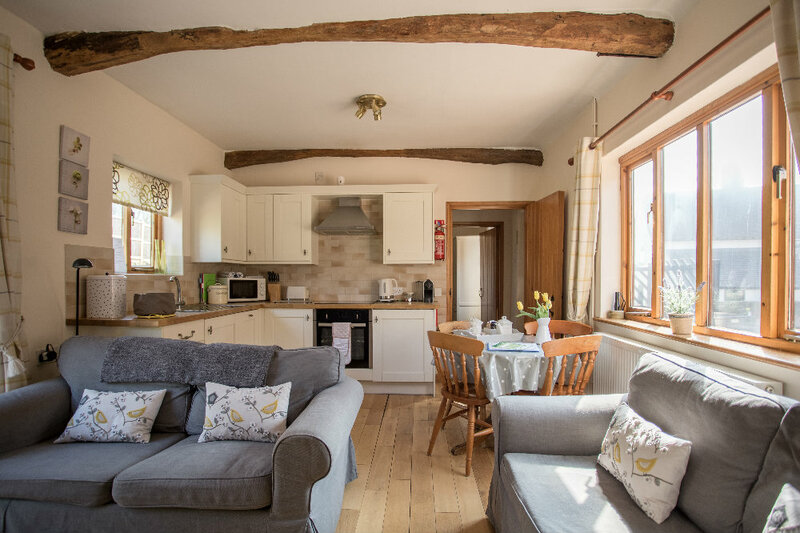 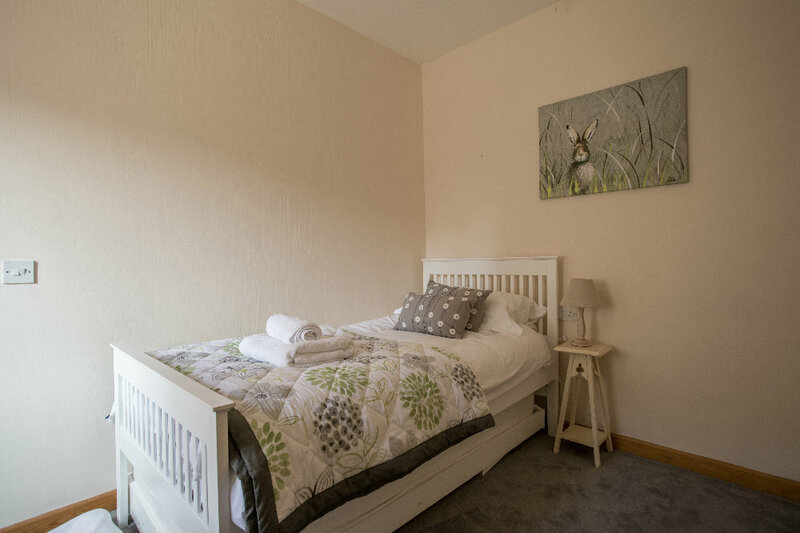 The cottage, which sleeps four in total, has a king sized bedroom at one end and a twin bedroom at the other, with cots and highchairs available. 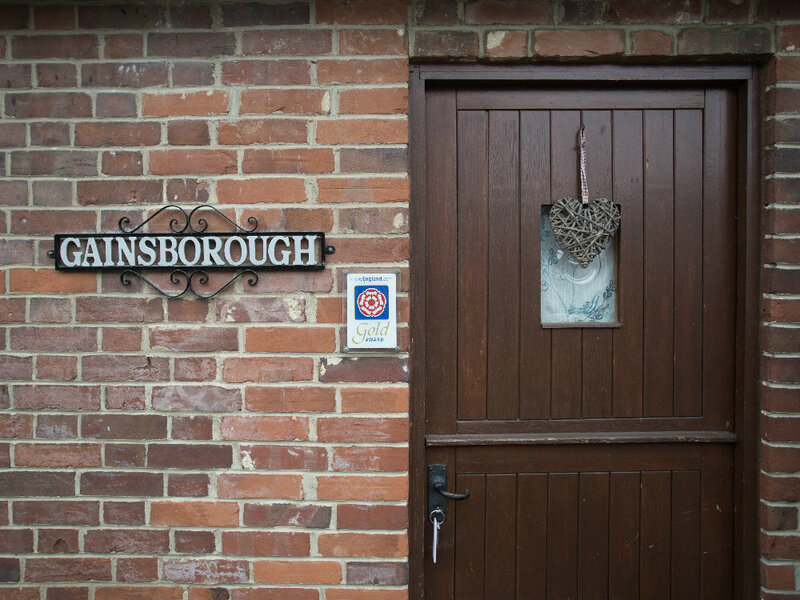 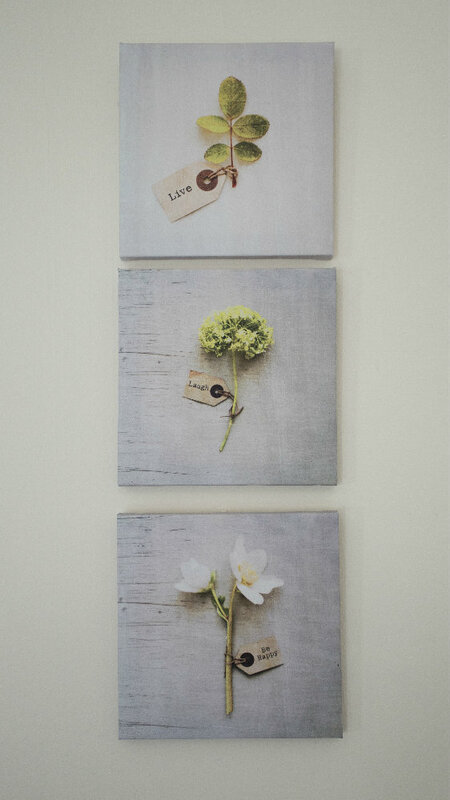 Heated using wood chip fired central heating and a log burning stove, Gainsborough is cosy all year round. 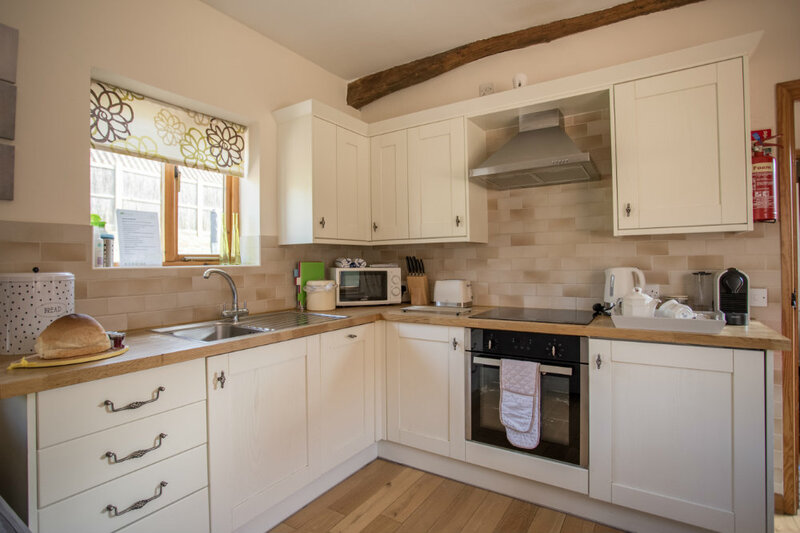 The open kitchen/dining/living area adds to this cosiness and is well designed to include a range of necessities. 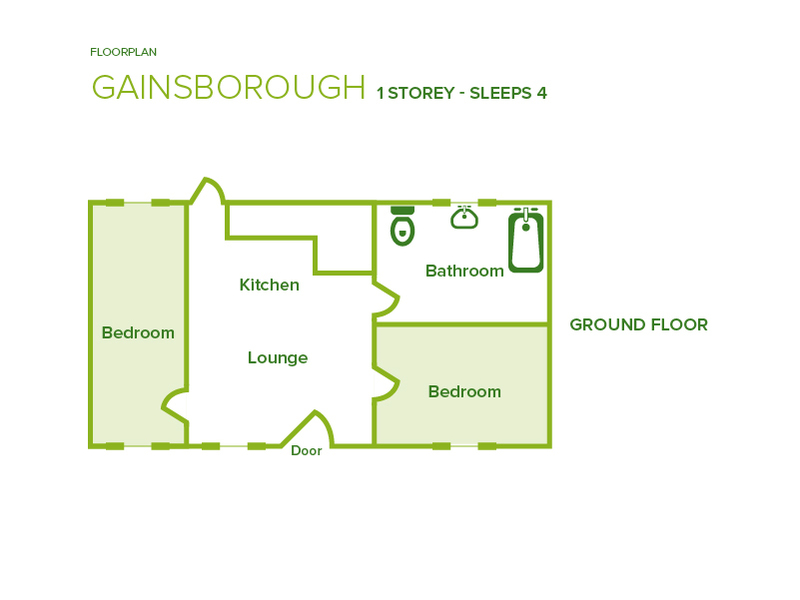 With its own garden Gainsborough cottage has access to a private hot tub, patio furniture and BBQ.